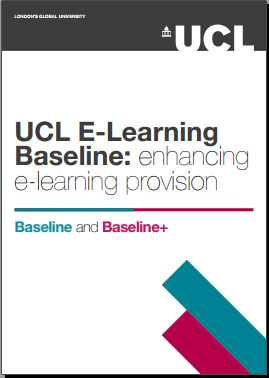 The 2016 version is a product of merging the UCL Moodle Baseline with the Student Minimum Entitlement to On-Line Support from the Institute of Education. The Digital Education Advisory team will be distributing printed copies to E-Learning Champions and Teaching Administrators for use in departments. Please could you also distribute this to your own networks to help us communicate the new guidelines to all staff. Support is available to help staff apply this to their Moodle course templates via digi-ed@ucl.ac.uk. We are also working on a number of ideas to help people understand the baseline (via a myth busting quiz) and a way for people to show their courses are Baseline (or Baseline+) compliant by way with a colleague endorsed badge. See ‘What’s new?’, to quickly see what has changed since the last 2013 Baseline. In Science, Technology, Engineering and Public Policy (STEaPP) learning technology support is provided by the department’s Learning Techologist (Alan Seatwo). Part of this work involves assisting colleagues to explore the use of emerging teaching themes prior to the start of the MPA Programme. These sessions focus on implementing the UCL E-learning baseline, exploring classroom learning technology and using video for students’ presentation assessment and as a self reflection tool. Prevalent learning technologies in the department include the UCL Moodle Virtual Learning Environment (VLE), rapid eLearning development tools, video editing & production, cloud storage, webinars, screencasts, online surveys and classroom learning technologies, such as electronic voting handsets. In this post Alan explains how his department used learning technologies in 2015. The department was already equipped with a collection of good quality video recorders and in August the department further invested in new hardware and software for video recording & editing, such as a range of camera/ mobile phone mounts, a tripod, wireless microphone and a copy of Adobe Creative Suite. 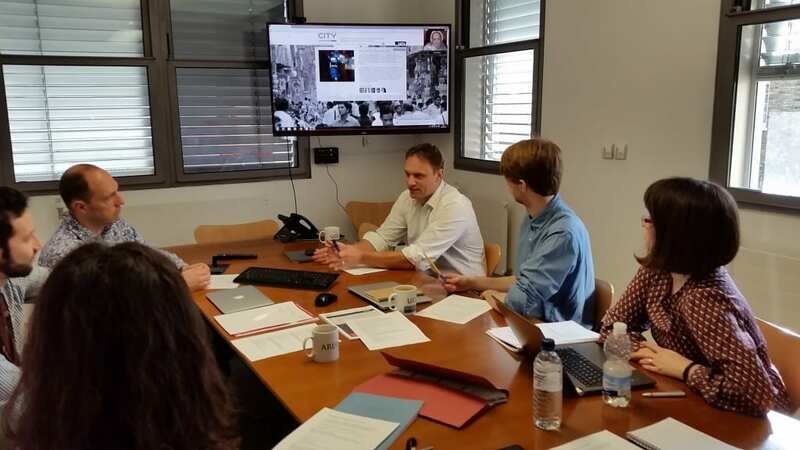 In addition, streaming video and webinar platforms were explored during the organisation and delivery of a seminar by Professor Daniel Kammen and a written report was presented to the department for possible use in the future. There have been no reports of teaching staff and students experiencing major issues using Moodle. Although there have been some maintenance down time from UCL networks, overall access to Moodle is excellent. Colleagues are supportive of the idea of using classroom-learning technology. Specifically, Word-Cloud was used in How to Change the World 2015; Kahoot! and Socrative were used in Policy Making and Policy Analysis; Communication and Project Management Skills; and the Vodafone – UCL Public Policy Intensive Programme. Feedback about the use of such software from colleagues and students was very positive. UCLeXtend is a separate Moodle platform for external use. 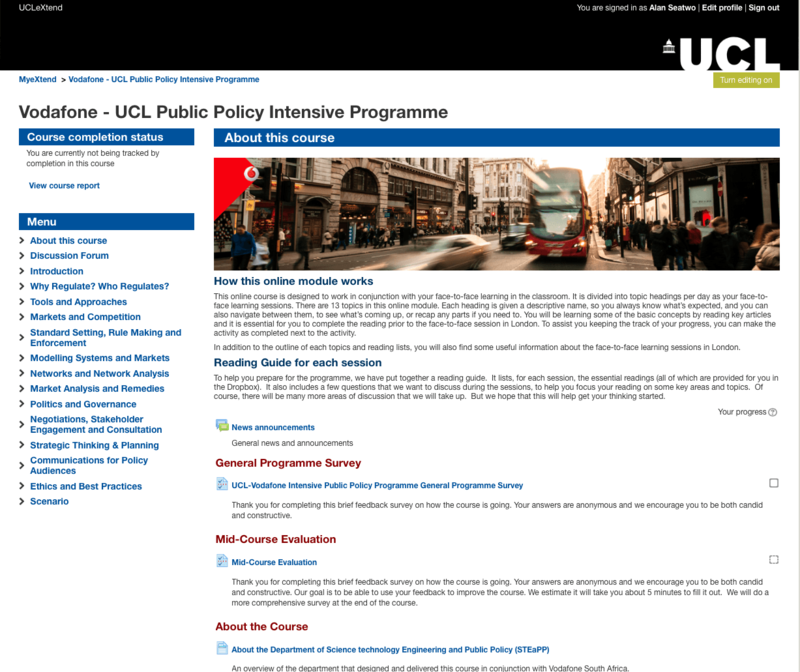 The Vodafone – UCL Public Policy Intensive Programme was granted the use of the platform to deliver the online learning elements. This enabled the department to experiment with organising and delivering online learning programmes to non-UCL users that might be useful for future use. Students’ presentations were recorded, stored and made available for course assessment and self-reflection. The experience of exploring video streaming in Professor Kammen’s event enabled the process of screencasting, video recording and webinars to be refined. The average turn around time to deliver edited student presentation videos is around 24 hours after recording takes place. Two Virtual Open Day sessions were conducted in Blackboard Collaborate (webinar software). A series of online interviews using BB Collaborate, Skype and Google Hangouts were also held with potential students. Articulate Storyline 2 to create two online self assessments in the undergraduate programme: ENGS102P: Design and Professional Skills 2015/16. There have been no major issues reported by staff using Moodle to organise and disseminate learning content and facilitating discussion via the forums. The level of usage from students is also good. Data from Moodle shows that students responded to staff instructions to access learning content and submit their assignments electronically. One of the areas that can be further enhanced is the use of learning analytics, which can assist staff to identify usage trends of their designed activities and content. Looking ahead: We are in the planning stage for How to Change the World 2016 and have two areas of focus at the moment: Online Attendance Recording and Reporting; and a Peer Reviewed Video Assignment. We are also making good progress on designing and developing an open-source learning object as part of a project funded by a grant from the UCL Centre for the Advancement of Learning and Teaching (CALT). Do you have an interest in games, gamification and games-based learning? If so we would be really interested in hearing from you, we are looking to put together a special interest group at UCL around these areas. The aim of the SIG will be to encourage interaction and discussion on these topics and others, ranging from research on games and play to their implementation within teaching practice (plus hopefully have a bit of fun along the way). Please join via our Moodle page if you are interested in taking part along and we will arrange an initial meeting of the group soon. Want to learn how to edit video on your iPhone or iPad, use excel to analyse your research data, or find a job online? UCL is currently trialling Lynda.com for 12 months and depending on the uptake this may be extended. 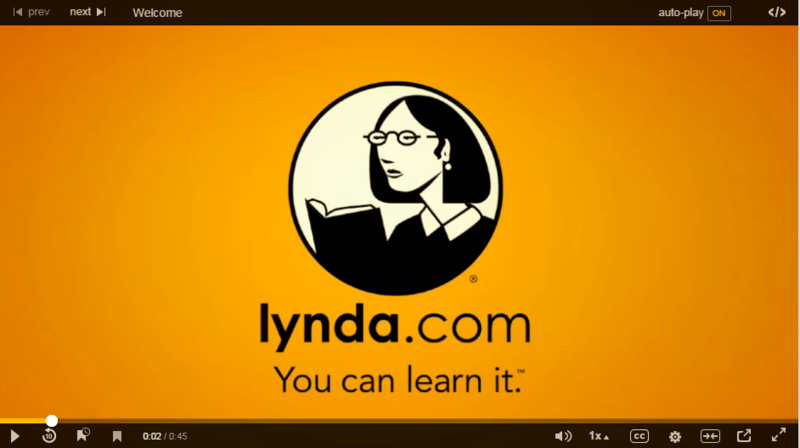 Lynda.com contains online resources to help you improve your software, technology, business and creative skills. It can be used for staff development, or to help students learn new skills that are useful for university and the workplace. UCL has a premium subscription, which means you can download content to watch offline on your mobile device and you can also download any files required to complete the exercises. To access Lynda go to Lynda.com and in the top right hand corner click “log in“, then go to the “Log in through your organisation or school” box on the right hand side and enter “www.ucl.ac.uk” This takes you to the UCL Single sign on page where you have to enter your UCL credentials, once successful you are returned to Lynda.com. ISD will be developing web pages and information for users over the next week. Please note that there may be some brief technical outages initially while the system is configured specifically for UCL, however, we do not expect this to stop people using the service overall.